With a country-inspired design and traditional black handles, the Utopia Doria Table Knives are perfect for professional dining. 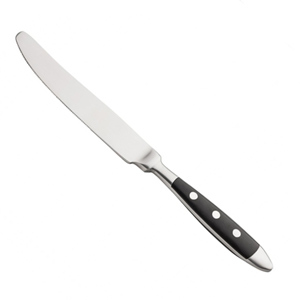 Made from 18/0 stainless steel and completely dishwasher safe, this robust cutlery offers excellent durability. Ideal for commercial use in restaurants, pubs and hotels or everyday use at home.